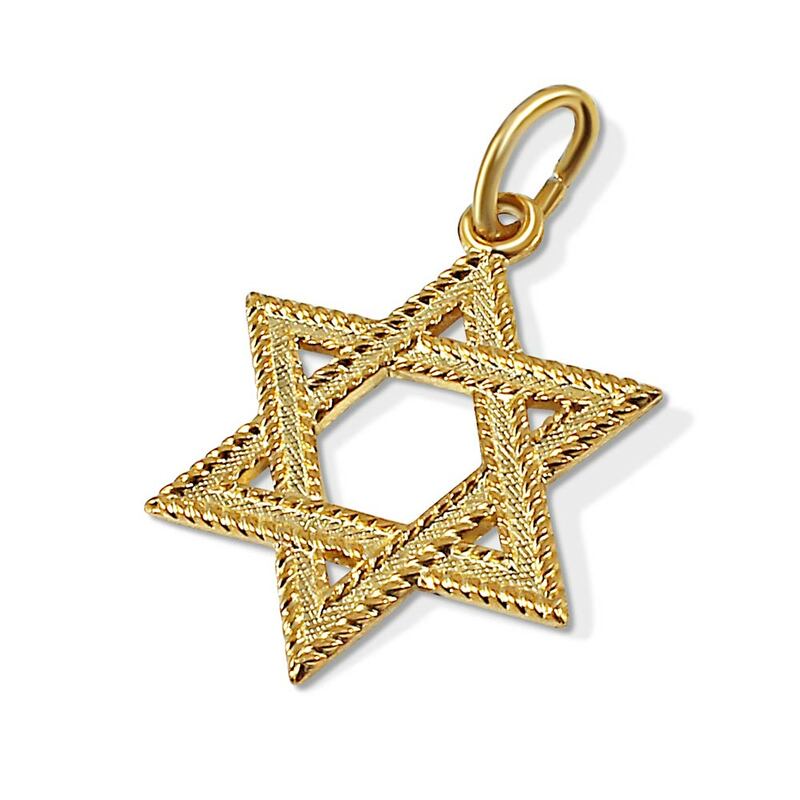 Traditional braided star of David pendant, 24K Gold plating over sterling silver. A sparkling gold pendant at the price of silver. Measures 17mm H x 13mm W (.67 x .51 inch). Weighs: 1.40 grams.